The last day in a Walt Disney World trip is always a sad one. 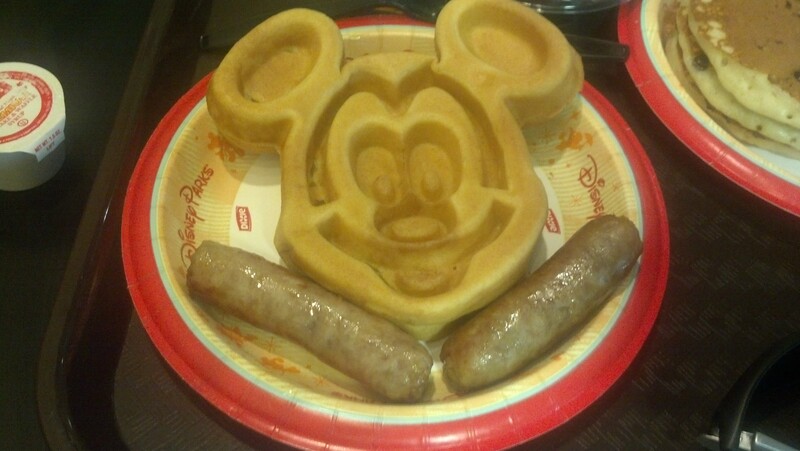 I started off the day with my last Mickey waffle. After all, I won’t be having any of these again anytime soon. I had to hustle to get packed up before we had breakfast. With an 11am checkout and not being sure we had enough room for all of our additional merchandise (including those runDisney New Balance shoes), I wanted to give myself enough time to go down and purchase an additional bag to fly home with if I needed it. Thank God I did. The runDisney New Balance shoes didn’t exactly fit. So, I rushed down and purchased my first Disney luggage item. It was small enough to be my second carry on and big enough to house our two shoes (in boxes). After all the packing was done, we ventured downstairs to leave our bags with bell services. Since our flight home wasn’t until 5:20pm, we still had some time left. Having breakfast so late proved to be a good thing. Why? It put our eating on schedule for when we would have had breakfast back in California. We also had lunch at the airport and dinner when we got back to California. I think this helped eleviate some jet lag. 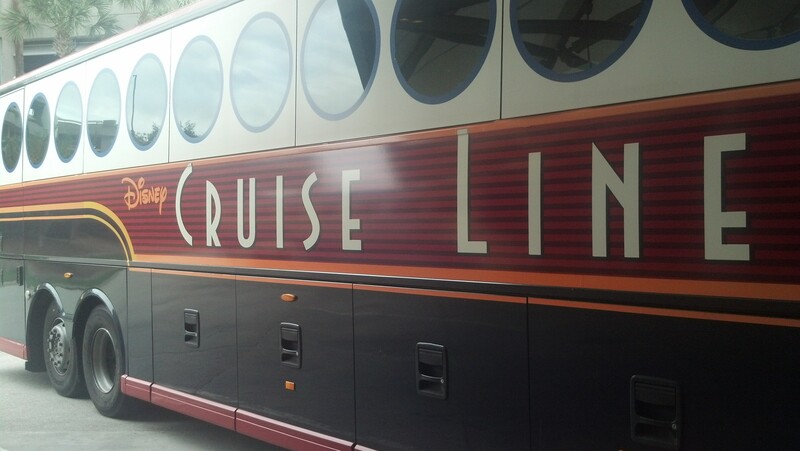 On our honeymoon, we used the afternoon before we had to catch the Magic Express to the airport going back to the Polynesian Resort and finish some last-minute shopping. Not on this trip. Brooke and I had a lazy afternoon hanging out at our resort. 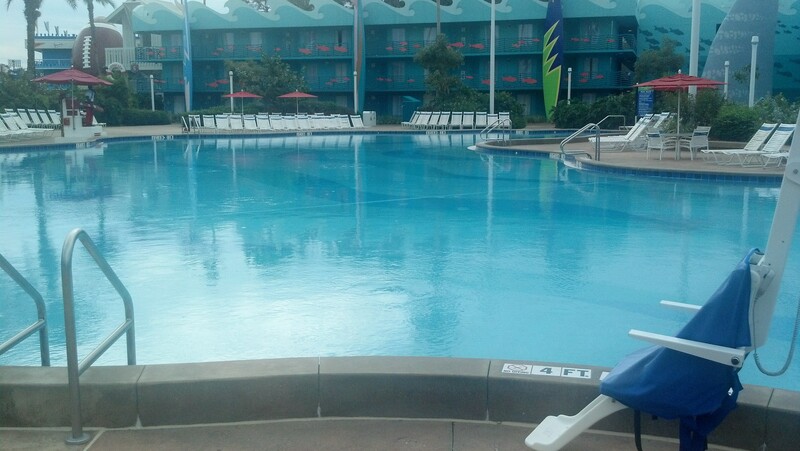 The pictures I got in the daytime in my review of the All Stars Resort were taken during this afternoon. After wandering around the resort and taking some pictures, we just hung out by the pool and waited for our time to check in at the Magic Express. Eventually, that time came that every Walt Disney World fan is sad about…the trip on the Magic Express back to the Orlando Airport. Even though I was ready to get back home, I was still sad. After all, I had no idea when I’d be returning. At the airport, we did still find some ways to have fun. If I had been in the mood, I would have taken pictures going through security. 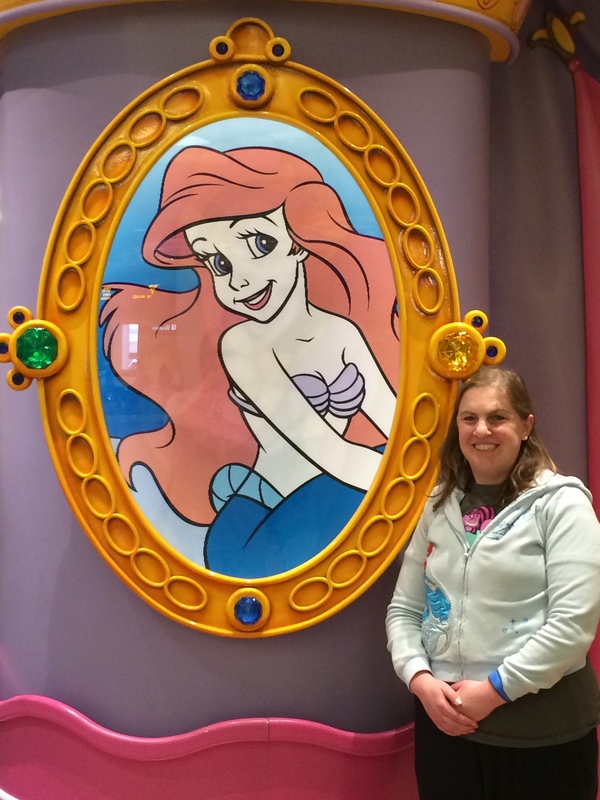 There were so many people wearing their runDisney race shirts from the week. There were even a lot of people wearing their medals! Even though we had left Disney property, the Disney fun was still around. 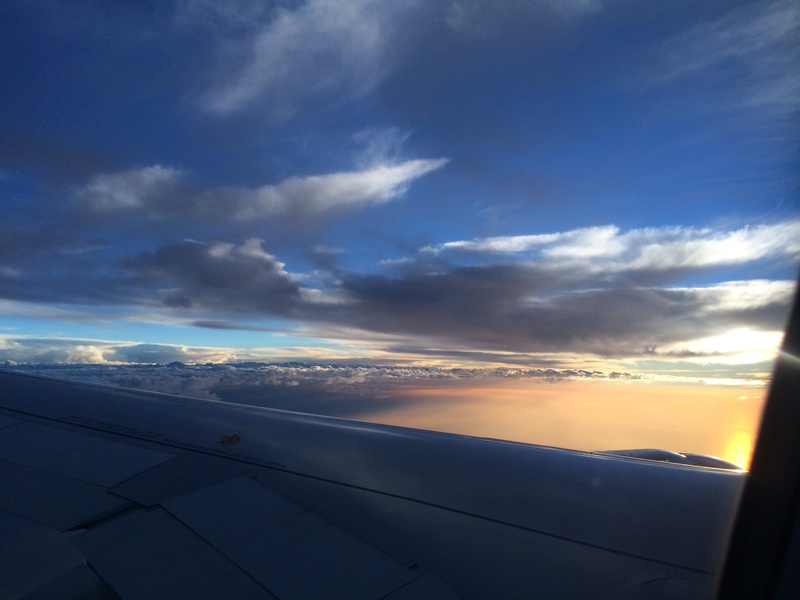 With the sun setting, we took off on our flight back to California. In the flight, we still found ways to have fun. Brooke is holding the Mickey pillowpet I purchased. This purchase was one of necessity. I’m not sure what it was, but it appeared that I had some sort of allergic reaction to the pillows in our room. 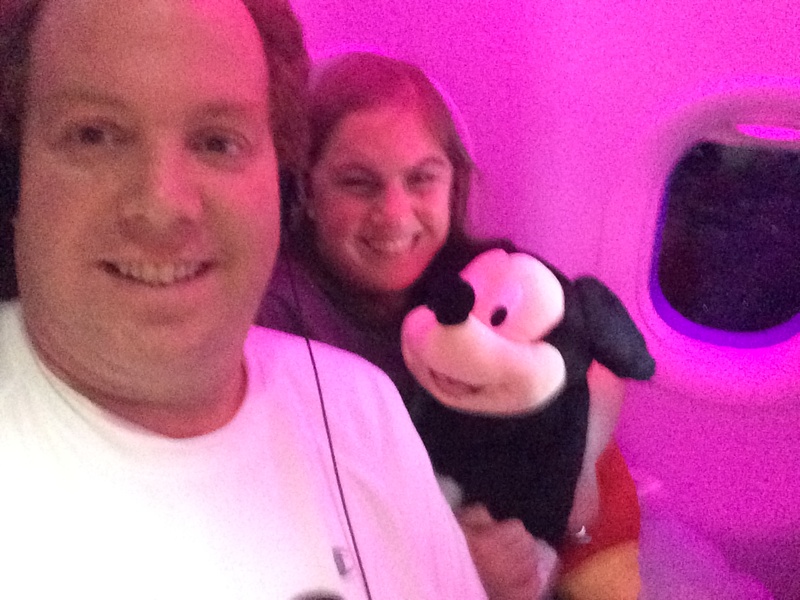 This Mickey pillowed saved the day! 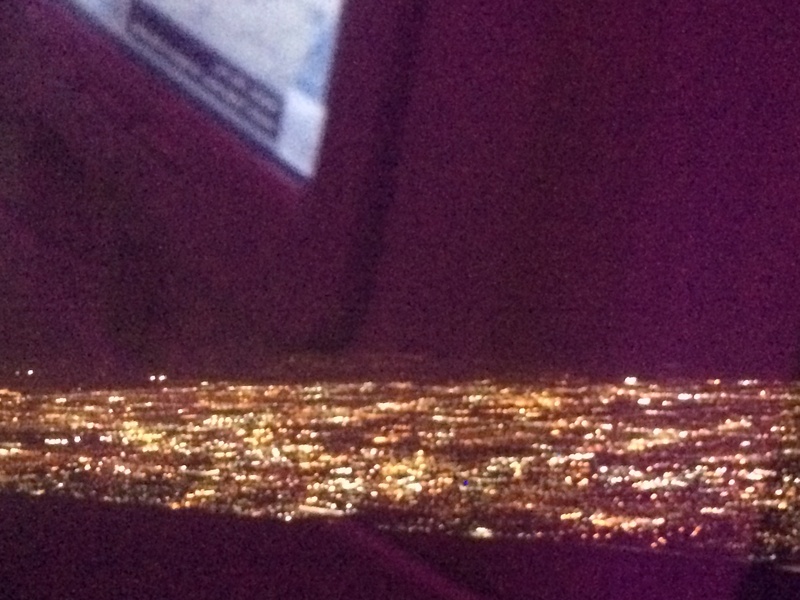 After more than 5 hours, we arrived back to LAX! We were home! To be honest, once we got to the airport, all I wanted was to be on the ground at LAX. 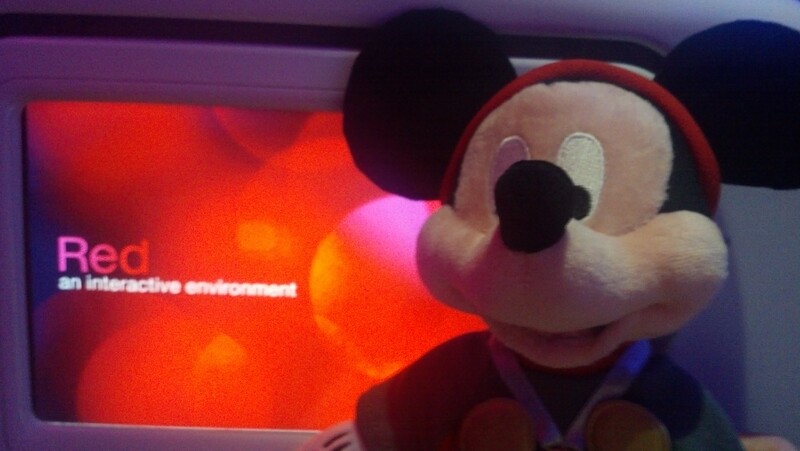 It’s a long plane flight and, as much as I would live at the Disney theme parks, if the vacation is over, then get me home. One of the traditions Brooke and I have developed (I think it was developed on our honeymoon) is to have In-N-Out as our first meal once we get home from a trip. 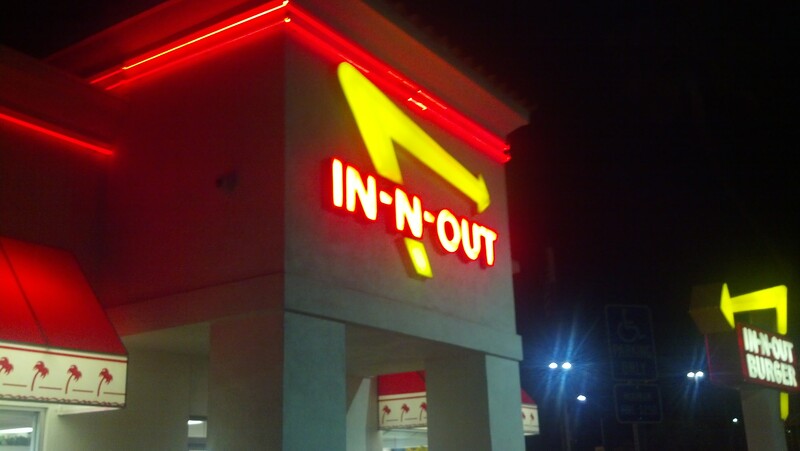 Do, dinner was at In-N-Out. When i got back to work, I couldn’t resist a little fun with the medals. 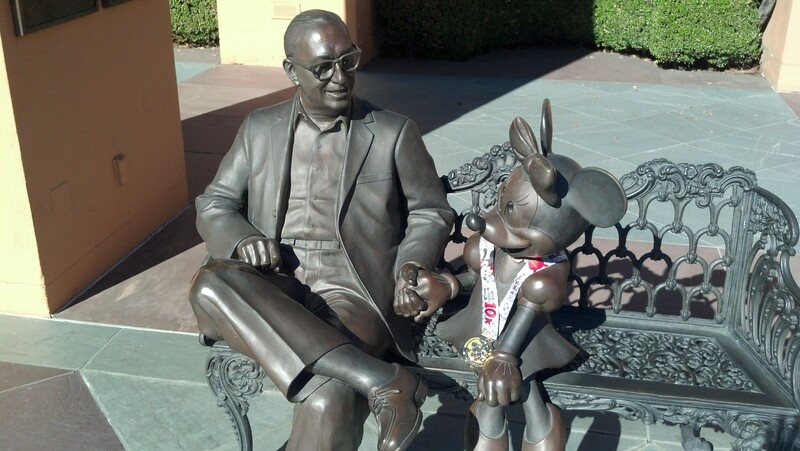 We have a Partners Statue on the Walt Disney Studio Lot (where I work). 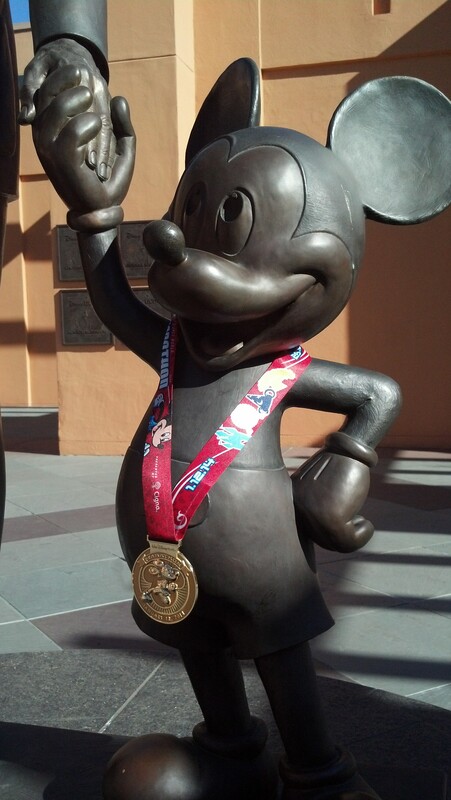 So, I decided to loan Mickey his medal for some pics. 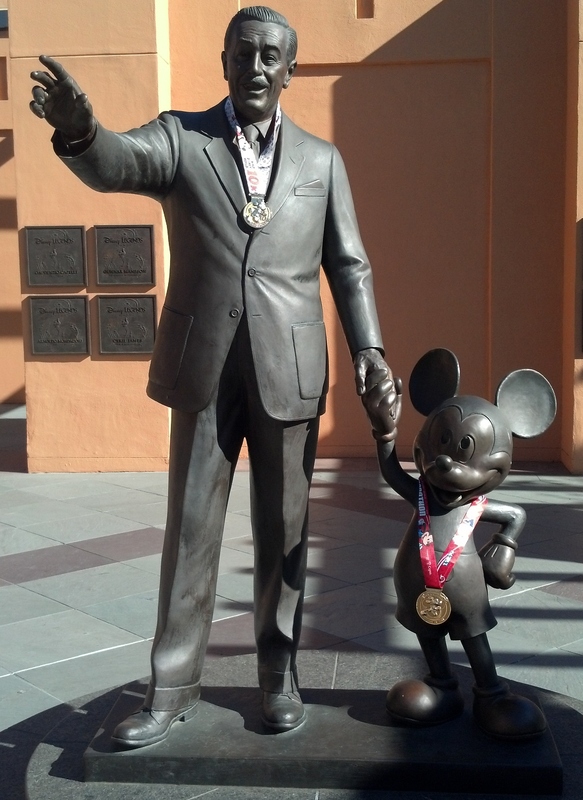 And Walt needed a medal as well. After so many months of planning and training, I am a Marathon Finisher! 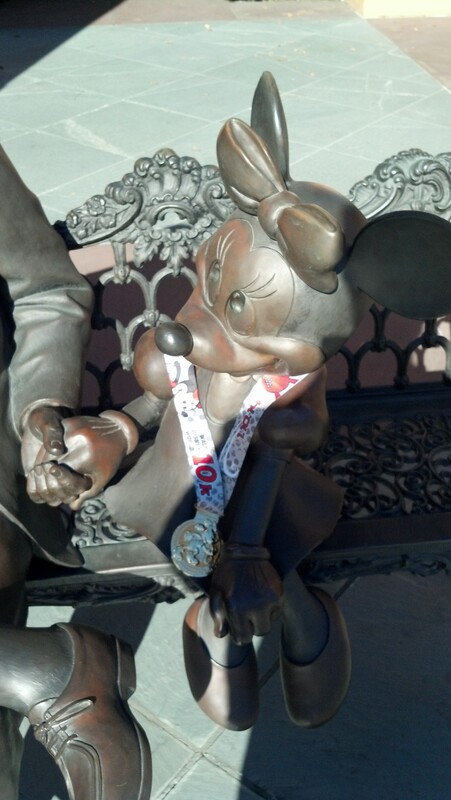 I’ve covered many of my thoughts regarding the 2014 Walt Disney World Marathon race itself in this blog post. So, I won’t rehash those thoughts. This was my first race-cation. That means that I did more than just go down and run a race. 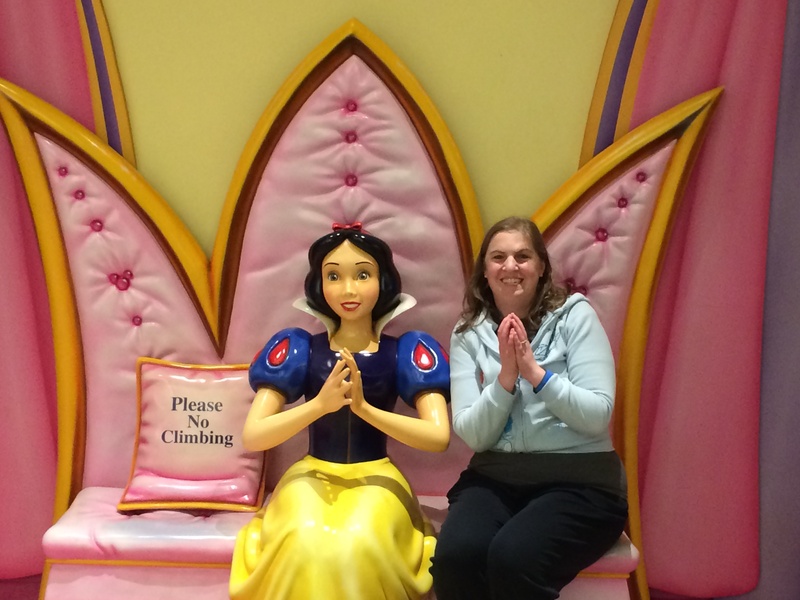 I also had fun playing in theme parks, visiting resorts that we didn’t stay in, and relaxing at the Senses Spa. As Brooke and I flew home, I couldn’t help but wish I could take trips like this one more often. Yes, there is a lot of planning. Yes, training for a marathon is a lot of work and time. However, the payoff was a trip full of memories that will last a lifetime. If I were a Disney Vacation Club member or lived closer to Florida, I’d most definitely visit Walt Disney World more often. Even after two 8 day, 7 night visits to Walt Disney World, I still feel like there is more to do than we’ve been able to experience. I’m really glad that I didn’t sign up for the Dopey Challenge. The reason? 4 consecutive mornings of waking up at the unGodly hour you have to wake up for these races would not be fun at all. 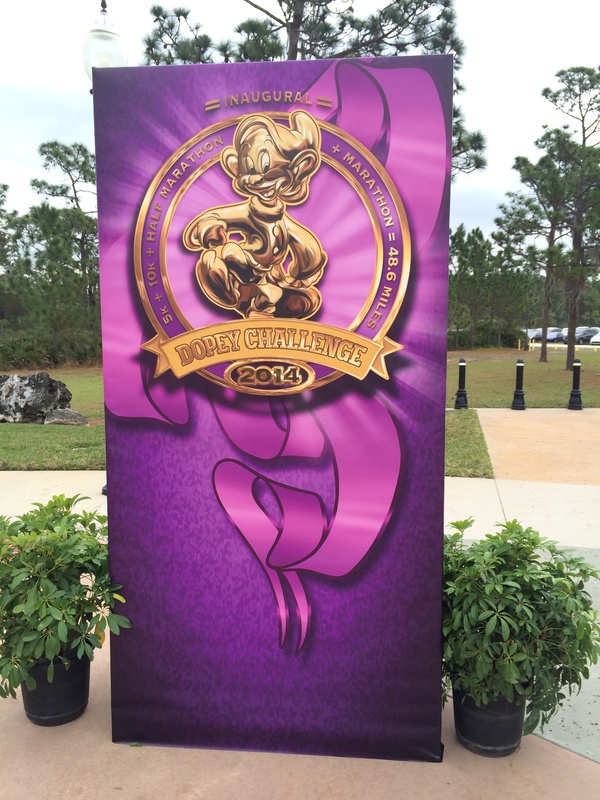 As I talked with Dopey Challenge finishers, this seemed to be a common theme. The races themselves were fun for them. However, waking up those 4 mornings wasn’t as fun. Some say they’d do it again. Others said they were happy to have done it once. I know myself well enough to know that the 4 early mornings are enough to keep me from this challenge. However, in the future, I might be willing to go back and do the Goofy’s Race and a Half Challenge (half marathon and full marathon on back to back days). Two mornings in a row seems more likely for me. 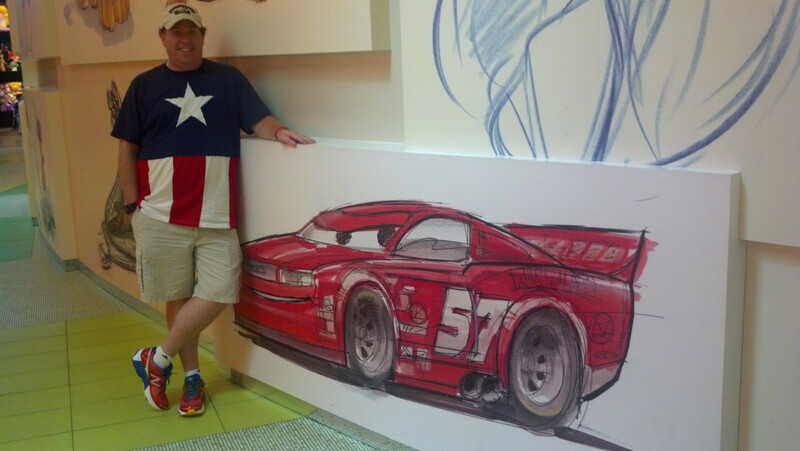 Outside of finishing the marathon, I think my favorite moment of the trip was visiting Disney’s Art of Animation Resort. I loved that place! The next time I visit Walt Disney World, I’m convinced this is where Brooke and I will stay. It’s just that cool. Favorite meal of the whole trip was the Whispering Canyon Café. The food was great and I wanted to keep eating even when my stomach said I was full. That’s how much I loved the food. It also had such a great atmosphere that I would come back to this place in a heartbeat. 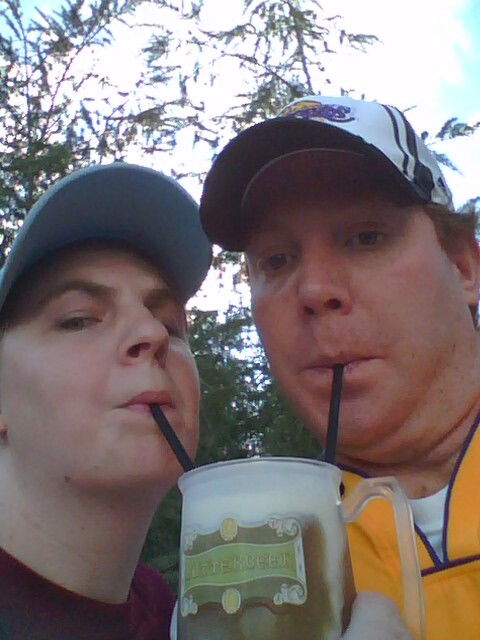 Most awesome drink was Butterbeer. Hands down…most awesome drink! Best restaurant based on atmosphere alone is Be Our Guest. 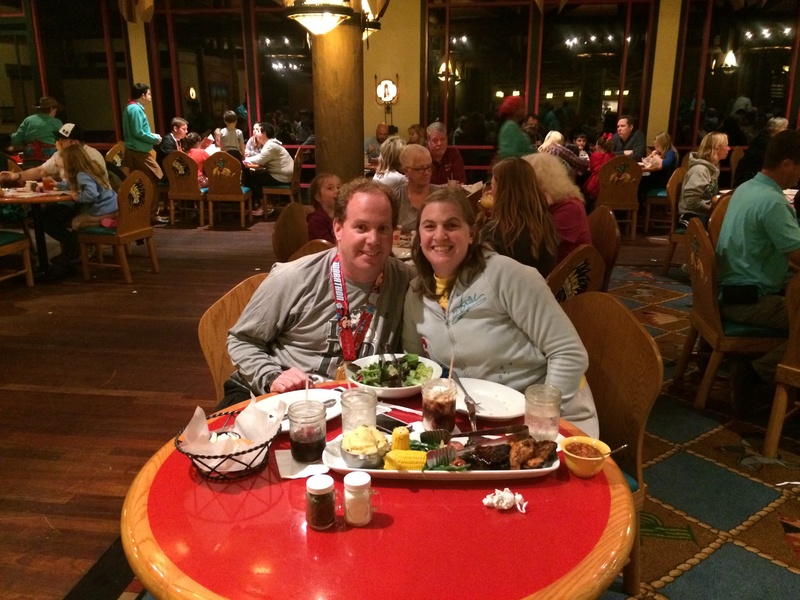 If I had ordered something different, it may have taken down the Whispering Canyon Café. 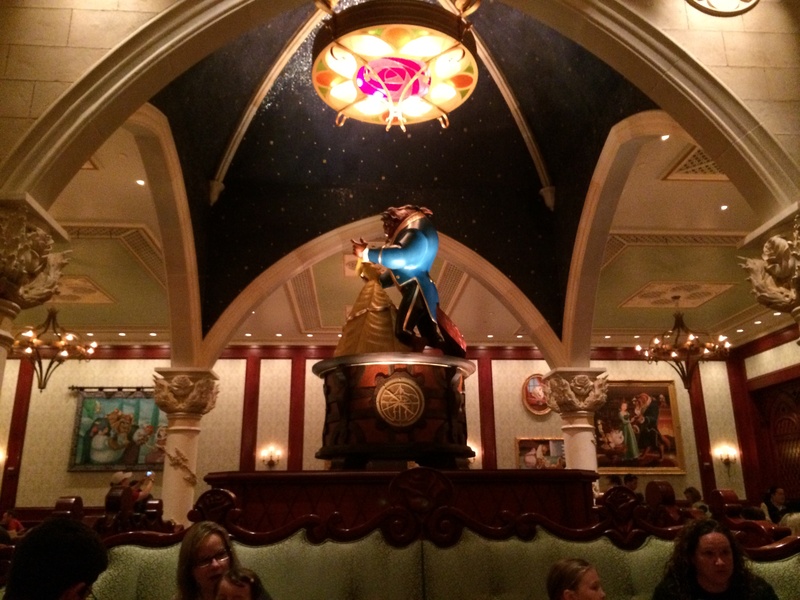 However, the interior of Be Our Guest is not to be missed. Even if you want to go just for desert and to see the inside, make this restaurant part of your next Walt Disney World vacation. You won’t be sorry. 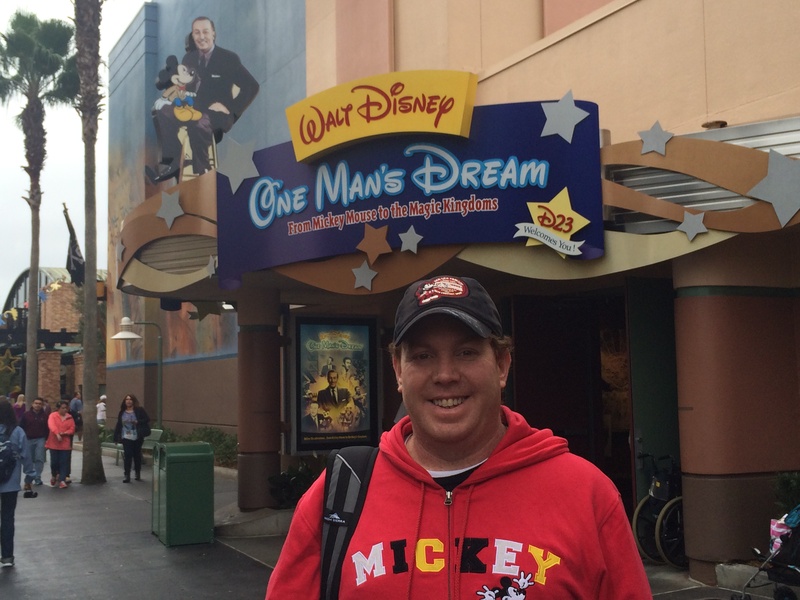 I came to Walt Disney World to run a full marathon. It was my first attempt at running 26.2 miles and I did just that. I may have had to walk most of 3 miles in the race. But, I finished strong and with a smile on my face. Surprisingly, I finished with minimal pain. It leaves me thinking about how much I want to do another full marathon. As I’ve looked over my schedule and planned for the rest of 2014, I don’t think that my next full marathon is going to happen this year. I want to take this year to add more half marathons to my resume and get more comfortable with that distance. In 2015, I would like to make the Los Angeles Marathon my next full marathon. That means, no Walt Disney World Marathon for 2015 and I’m okay with that. 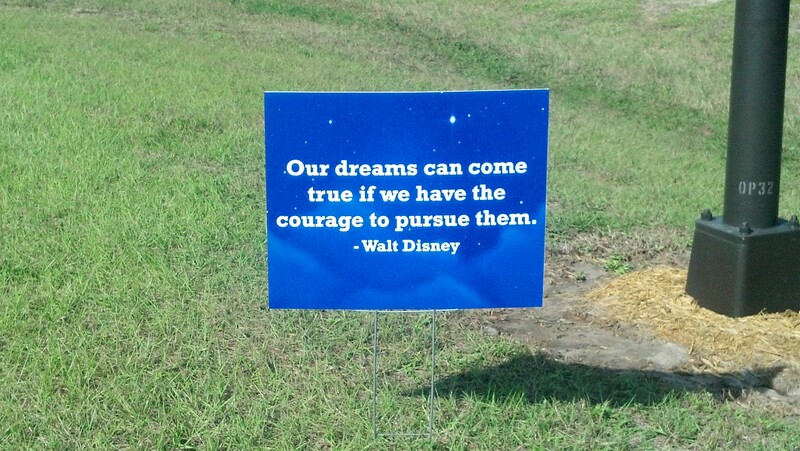 Above all else, this quote summarizes my Walt Disney World Marathon Trip in one sentence. I am now a marathon finisher! I’ve joined the 1 percent who can say the same. Even if I never run another full marathon in my life, no one will ever be able to take this experience away from me. All of those miles I logged while getting ready for this race were totally worth it. All of the successes and failures added up a mission finished. 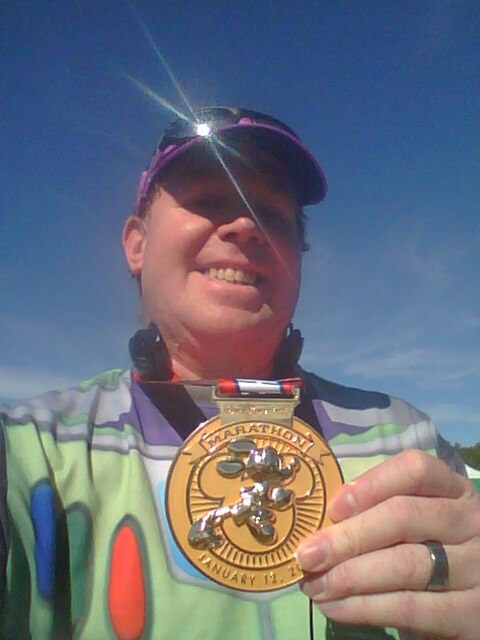 Today, I write to you as a marathoner ready to go infinity and beyond. It’s time for me to get at that “beyond” part. This journey is far from over. My next goal? Finishing a half marathon in 2 hours, 30 minutes or quicker. I hope you’ll continue following this next dream. Thank you for going with me this far. What was your fueling plan for the marathon? I’m not fast and planning my first full at WDW in 2017 so of course I’m wondering how non elite marathoners keep fueled on the go for that long. Sorry it’s taken so long to get back with you. 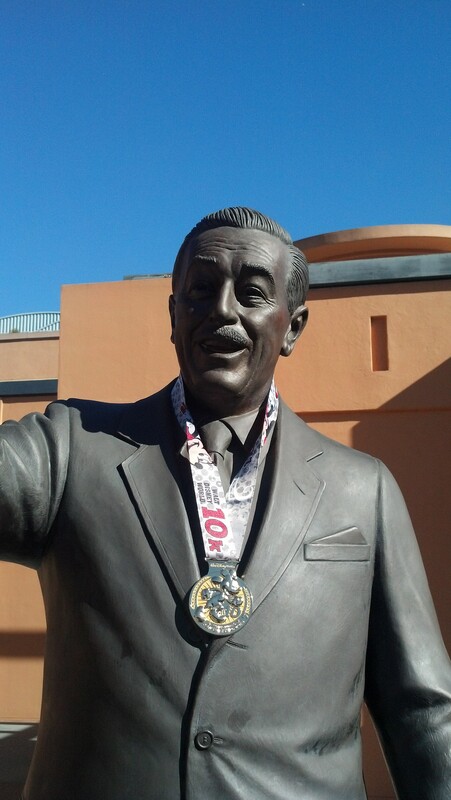 To be honest, I didn’t have my fueling strategy worked out before running the 2014 Walt Disney World Marathon. I was very fortunate to have found someone to pace me through the race. She did an excellent job at not only pacing the group I ran with, but making sure we knew when to take on fuel. Run Disney does provide Cliff Shots at two different locations during the Marathon. They also have one or two stations with bananas. Additionally, right before you enter backstage Disney’s Hollywood Studios, they handed out candy! There will be plenty of water and Power Aid stations along the course. I would recommend taking on hydration at each station. I would also recommend to carry some water and/or sport drink with you. I have found it to be a comfort to know hydration would be available whenever I needed it. As I trained for the LA Marathon this year, I found a sweet spot for taking on fuel. I take hydration every 2 miles. I start with water first. Then, the next time, Gator Aid. I take on Cliff Shot Bloks every half hour. I try to keep it as close to every 30 minutes as I can. This is what works best for me. It usually keeps me happy. RunDisney keeps their aid stations well stocked. So, you shouldn’t worry about them running out before you arrive. Since you are planning on running the 2017 WDW Marathon, I would also suggest that you try out different strategies during your long runs. They will help you find what works best for you. Try the gels (Gu, Cliff Shots, etc. ), Sport Beans, Bloks, etc. There’s a lot of trial and error in figuring it all out. Long runs help us figure it out. So, take advantage of your long runs by experimenting. After all, if you bonk on a long run, you’ll learn from the experience and be better later. It’s better to bonk on a training run than on race day. Best of luck as you prepare!